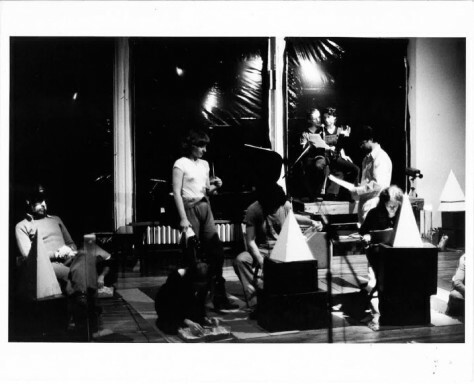 Stanley Oil and His Mother: A Systems Portrait of the Western World, performed at The Kitchen in 1977, was Jill Kroesen's exploration and analysis of the economic structures that have controlled Western civilization. Described by Kroesen as a "system portrait," Stanley Oil and His Mother was a three-hour-long retelling of Western history. Kroesen's epic performance piece was comprised of over 20 dancers—a group which included Rhys Chatham, Constance De Jong, Eric Bogosian, Peter Gordon, Bob Holman, Pooh Kaye and Peter Zummo, among others—and was the first of many other "system portraits" to follow.